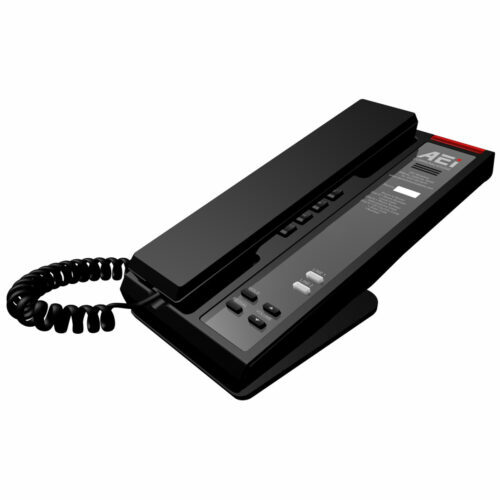 Slimline Single-line IP corded telephone This Single-line phone is perfect when space is tight, or you don't need too many services or functions. The elegant design and compact footprint of the SKD series make it perfect for elevator lobbies and other public spaces, as well as guest rooms in limited-service properties, or as additional phones in suites. It's desk or wall mountable for great flexibility. The SKD series is a perfect way to round out your offering! 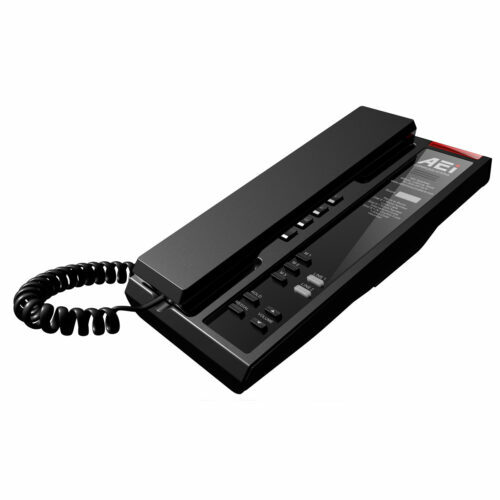 Slimline two-line IP corded telephone This two-line phone is perfect when space is tight, or you don't need too many services or functions. The elegant design and compact footprint of the SKD series make it perfect for elevator lobbies and other public spaces, as well as guest rooms in limited-service properties, or as additional phones in suites. It's desk or wall mountable for great flexibility. The SKD series is a perfect way to round out your offering! 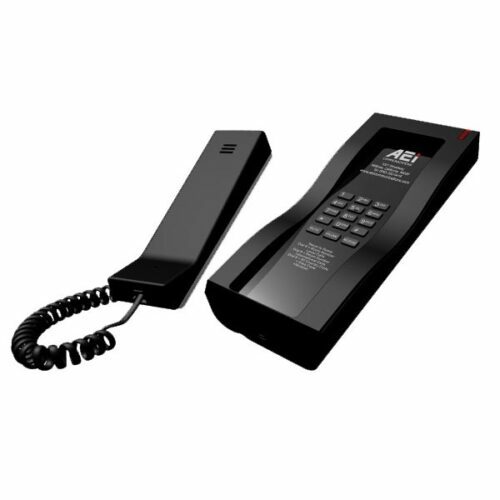 Two-line VoIP DECT Tethered Handset Extension with Speakerphone Our state-of-the-art IP DECT phone has it all: Compact footprint; the latest IP voice technologies; speakerphone; up to 6 guest service keys on handset, and much more! From the way our trim DECT handset feels in your hand, to the amazingly clear voice quality, the convenient color handset LCD, and more leading-edge features, SAX 8000 series IP DECT phones are durable, reliable, and look great in any guest room. Two-line corded IP speakerphone Our SSP series of VoIP phones deliver state-of-the-art IP technologies that enable you to unlock the true value of your IP investment. 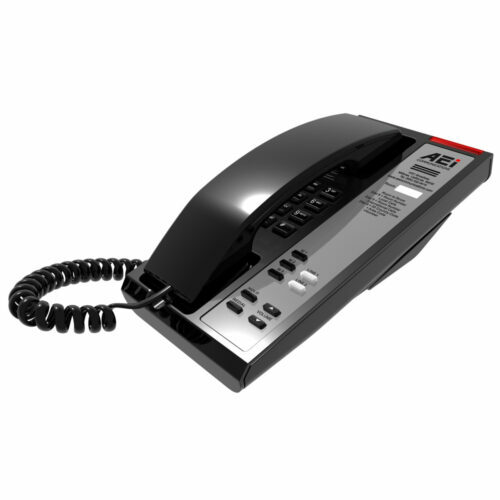 Deploy the SSP series as a feature-rich corded IP phone with display. 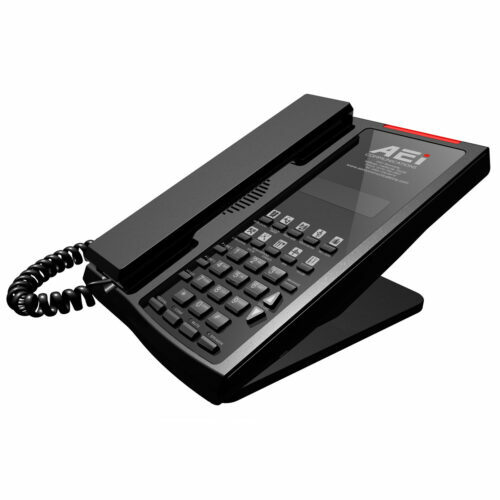 Perfect for saving money on VoIP port licensing fees! . Easier management, greater guest service, and better cost control are at the heart of every one of AEi’s advanced VoIP solutions. 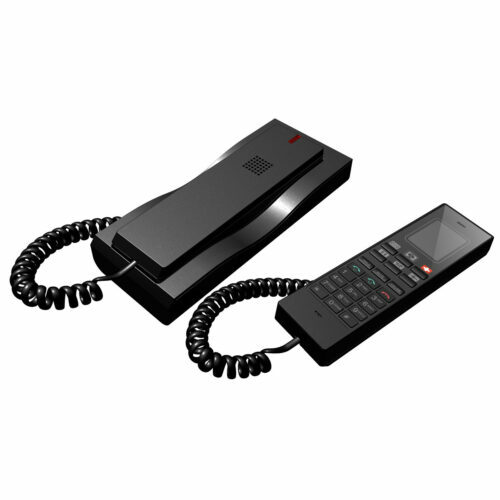 Slimline two-line IP corded telephone This two-line phone is perfect when space is tight, or you don't need too many services or functions. The elegant design and compact footprint of the SLN series make it perfect for elevator lobbies and other public spaces, as well as guest rooms in limited-service properties, or as additional phones in suites. It's desk or wall mountable for great flexibility. The SLN series is a perfect way to round out your offering! 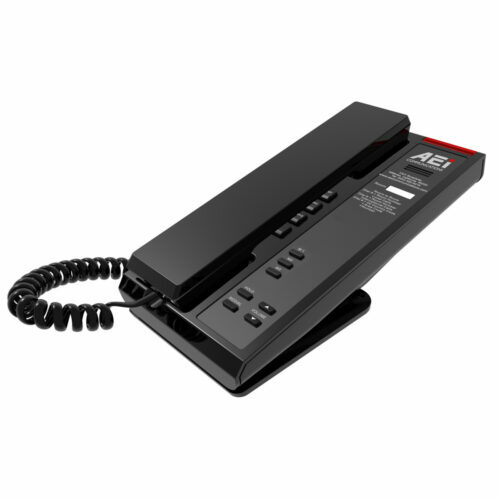 Slimline Single-line IP corded telephone This Single-line phone is perfect when space is tight, or you don't need too many services or functions. The elegant design and compact footprint of the SLN series make it perfect for elevator lobbies and other public spaces, as well as guest rooms in limited-service properties, or as additional phones in suites. It's desk or wall mountable for great flexibility. The SLN series is a perfect way to round out your offering!